View and collect cattle data anywhere. 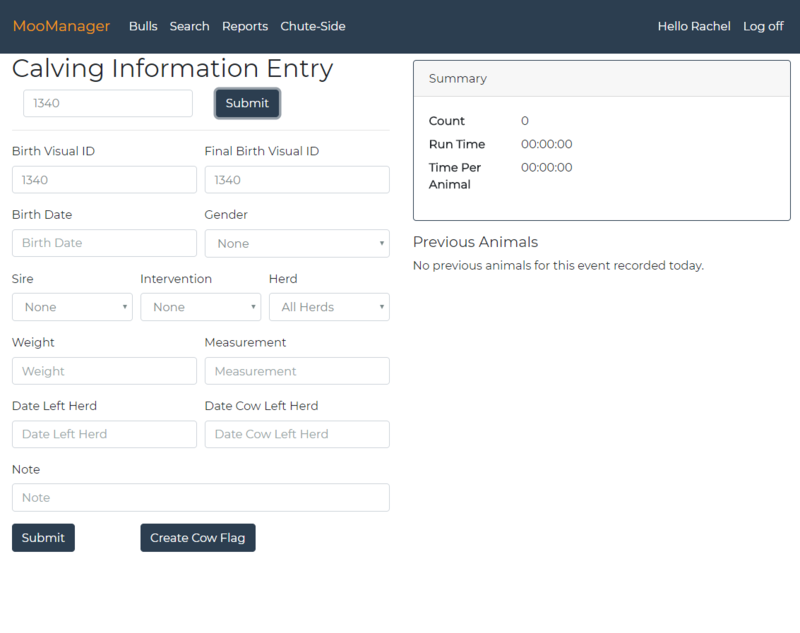 MooManager is a responsive web application for comprehensive management of cattle data. 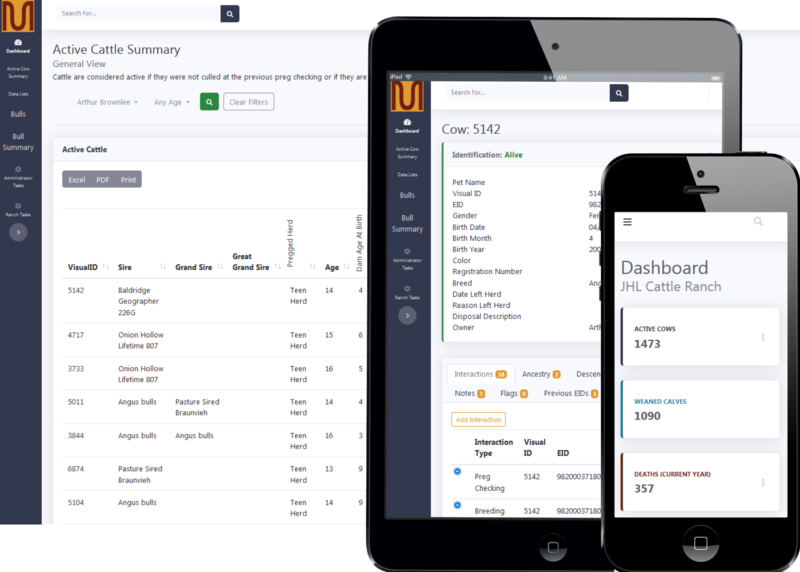 Collect cattle data live-time, create reports, and view specifics. MooManager is a fully functional application in the beta stage of development. For the past year and a half it has been tested in real life ranch applications on the JHL cattle ranch in Nebraska. It will be available for general use in the near future. 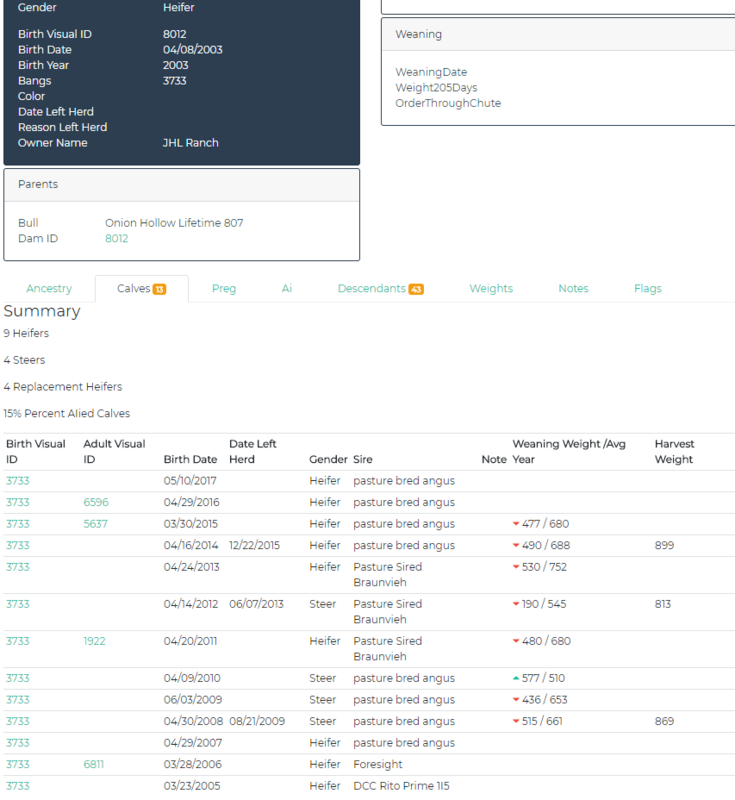 Preg checking and AI records are visible if available. Information can be edited post-collection if errors were made. Ancestors and descendants are traceable. Upon the click of their id, have access to any relative's full information. See the animal's gender, if they were kept, and if any intervention was required at birth. Calf information per cow is calculated and listed. 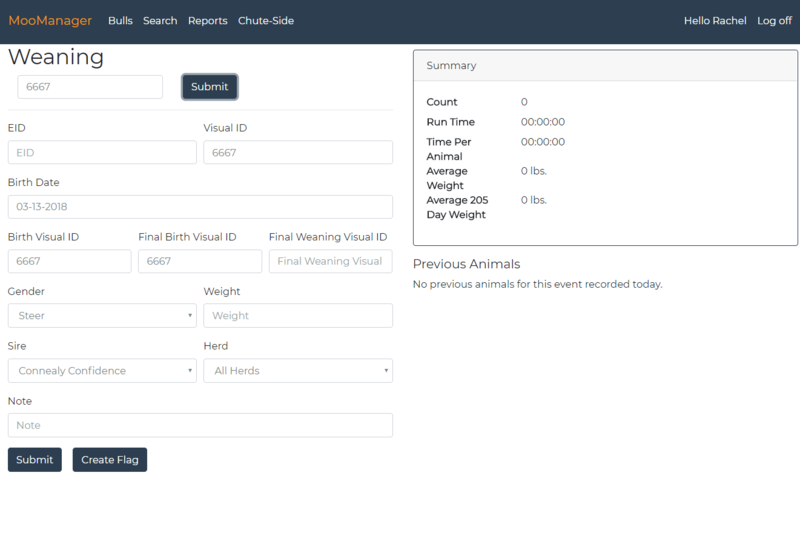 It includes collected information and calculated items such as weaning weights relevant to the yearly average. Reports have selectable criteria and can be sorted by any column. 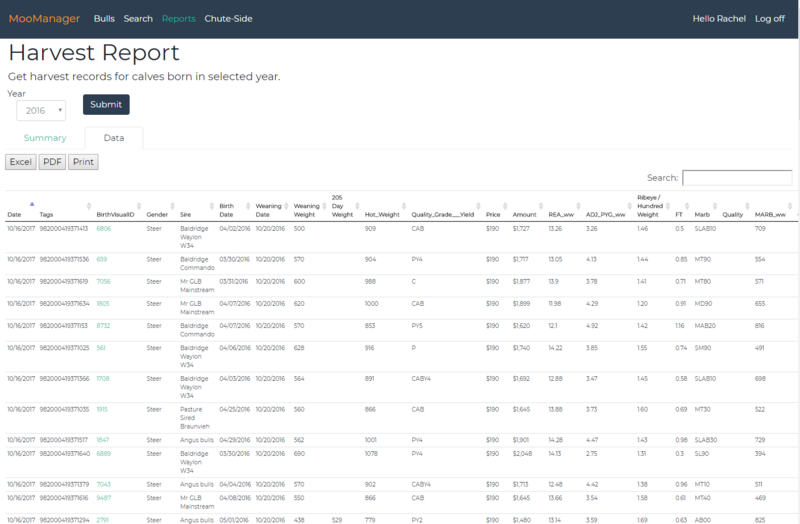 Detailed reports can collate and display large amounts of sortable data. It can be printed or opened in Excel for further calculation. At preg checking, any recorded or calculated alerts are displayed as cattle are scanned. Daily statistics are displayed on the right. Data capture is streamlined to find and populate as much data as possible. Cows are searched using present or past EIDs and visual ids. 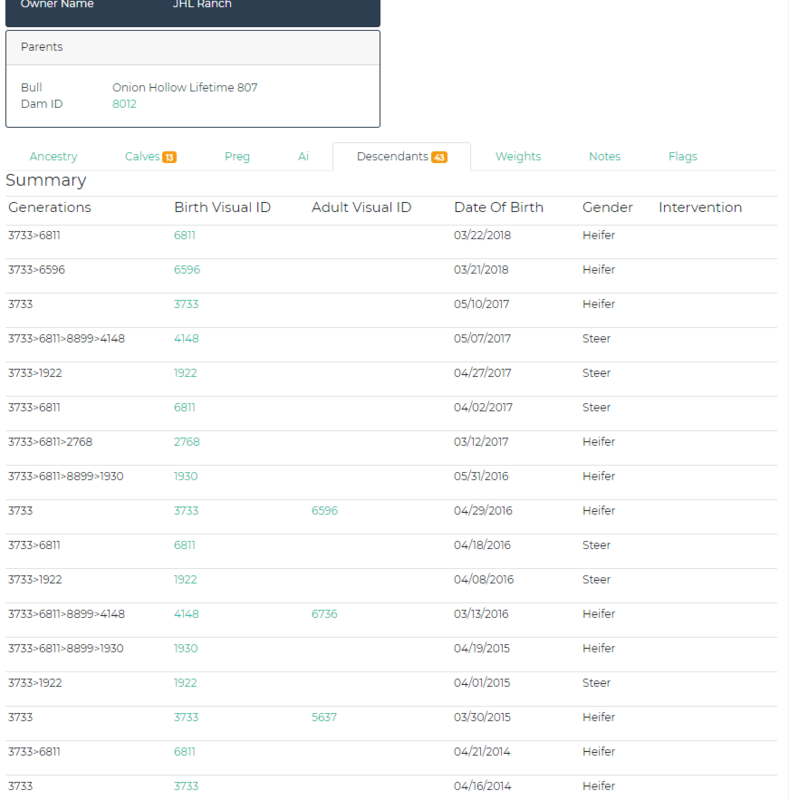 Calving data is pre-populated if possible. Overall statistics of the day are recorded on the right side of the screen. MooManager was designed and developed by Rachel Brownlee. 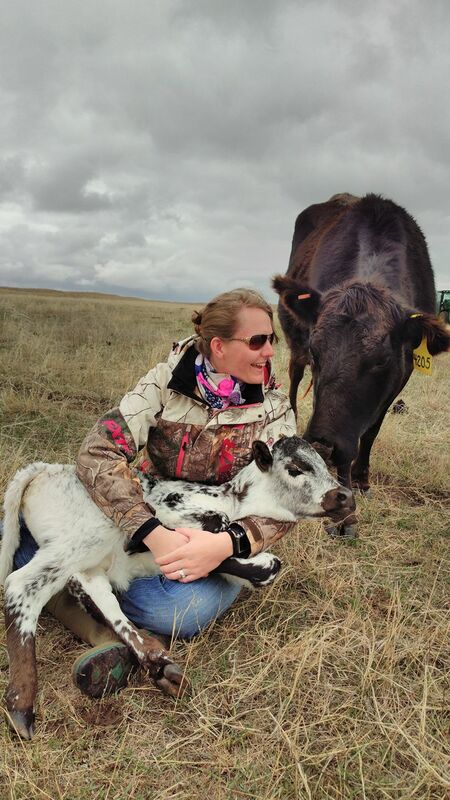 She was working on the JHL cattle ranch in 2011 when she realized how valuable it would be to have a program manage AIing data for accuracy and speed. 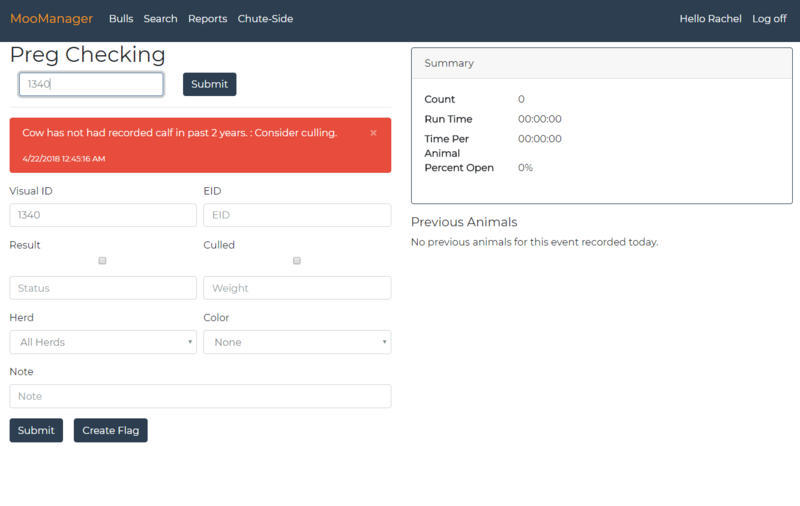 What started out as a simple data capturing application eventually became a management suite with detailed records and ability to calculate whether or not a cow should be considered for culling. From 2011 to 2015 MooManager was a college project which she applied to every class. She won 8 awards and even a Nebraska State Legislative congratulation for the design and business plan for MooManager. 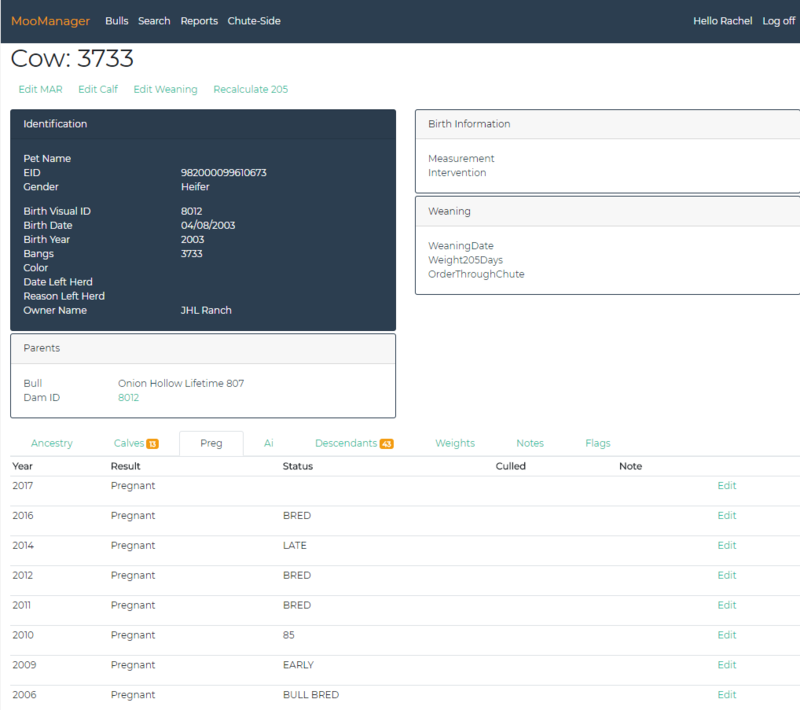 Since 2015 MooManager has become a fully functional and useful tool in the beta development stage. 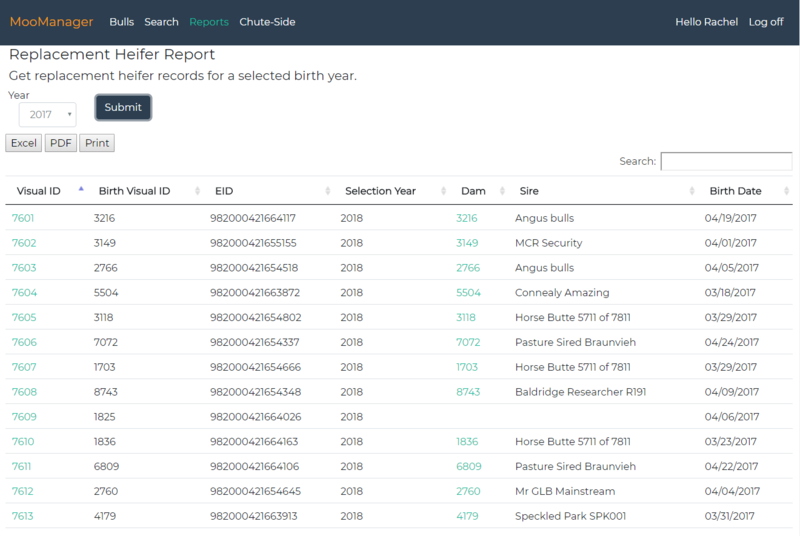 The JHL Ranch uses it extensively to manage all their cattle data. She has begun development for opening the application to other ranches.